I know what you are thinking, baby bottom cream on your face? Yes! 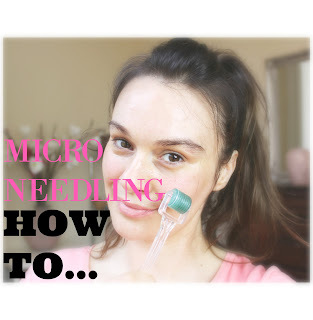 I use it on my eyes, chapped lips, dry cuticles... in fact, I use it on everywhere where I have damaged skin or I feel a painful zit starting to grow. After the removal of my eyelash extensions, my eyes dint stop itching, so I used the cream around my eyes for few days, because it is created to stop baby bottoms itching and prevent them from nappy rash. ... and you know what, after only using this cream for two nights, my fine lines actually have disappeared completely. The skin around the eye area was really smooth and firm . Let me tell you, no high end eye cream has ever managed that. I use the Imagine skin care, while I find them very good and effective, they do dry out my face at times and since they are very rich in glycolic acid, my skin is always peeling a bit, which is a good thing (new skin). Now I apply the cream on the effected area, and voila the peeling is gone and it soothes the redness. I only use it at night, because its very rich and greasy and it would smear only my eye make up during the daytime. Although the ingredients are nothing special , dexpanthenol makes a difference. Rather than just making a film on the skin, the product does have real healing properties. For only Euro 3.90 a 30 ml tube, I will definitely continue using this ointment forever! Here is the video for the micro needling part - just in case you are interested. Bepanthen does not contain perfumes, antiseptics or preservatives and is clinically proven to protect from the causes of nappy rash. Suzanne Gibbs... 48 years old... I have rosacea and suffer redness and very dry skin on my face.. 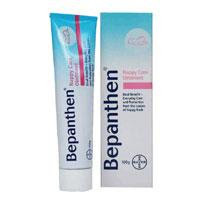 I am currently using bepanthen on my face... It is amazing....... My skin feels much better... No itchiness... Less redness... This is fabulous... I'm one happy woman. Suzanne.